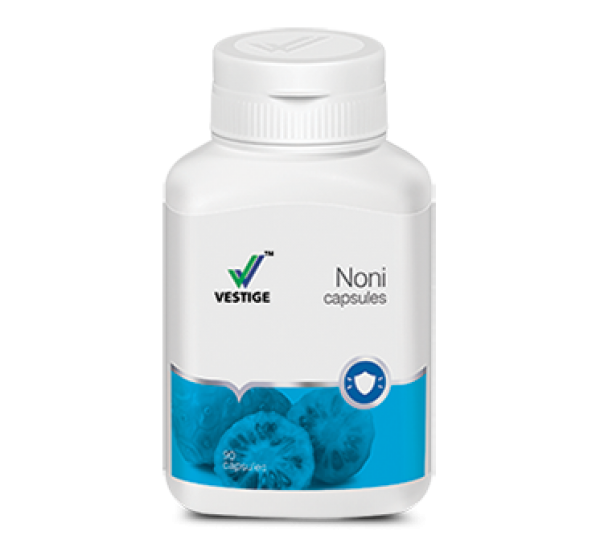 Noni or Morinda citrifolia is a fruit found in Southeast Asia containing a mixture of anthraquinones, xeronine, organic acids, vitamins, minerals, nutritional enzymes and polysaccharides. Vestige Noni helps in cell regeneration and it improves the overall immune system. An effective antioxidant, it has anti-inflammatory, anti-microbial and anti-carcinogenic properties. It is also helpful for patients suffering from high blood pressure, arthritis, asthma as well as respiratory and digestive problems.